The church in Sainte-Sophie, Que., on Apr. 6, 2018. For more than 150 years, the church in Sainte-Sophie, Que. has stood in the heart of the village, its steeple like a beacon summoning the faithful through its doors. But with so few answering the call each Sunday, the small town northwest of Montreal is one of many facing what once would have been unimaginable: a churchless future. 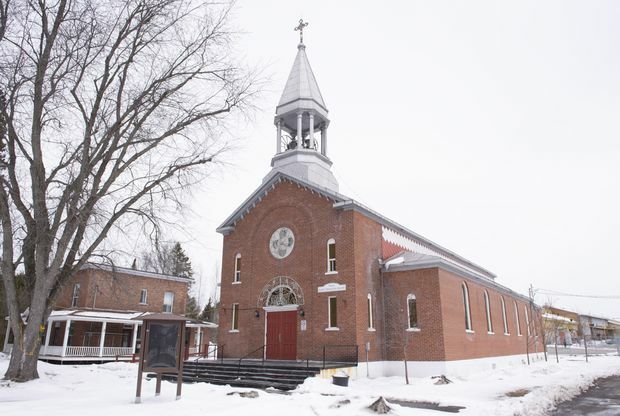 As the Saint-Jerome Catholic diocese north of Montreal contemplates whether to dramatically slash the number of buildings it maintains, parishioners say they won’t accept the closure of their churches without a fight. While the committee studying the issue won’t confirm how many churches could be closed, Montreal La Presse and a local newspaper have reported that as many as 33 of the diocese’s 54 churches could be on the chopping block as of this summer. The diocese says an announcement will be made in June. The news isn’t sitting well with some residents in Sainte-Sophie, who have formed a group to try to save the church. Thus far, their activities consist of trying to raise attendance at Sunday mass, and trying to show church authorities that the community is willing to work to find solutions. But Stephan Filion, the group’s founder, wonders whether the diocesean committee is even considering other options. “The best we can do is to show we’re here, but will we be asked, questioned on the next steps?” he said in a phone interview. While the church doesn’t want to close buildings, dwindling attendance and soaring maintenance leave them with few options, according to the diocese’s vicar general. “There are parishes that are technically bankrupt,” Martin Tremblay said in a phone interview. “There are parishes that don’t have enough money to continue. Tremblay points out that heating costs alone average between $20,000 and $40,000 per year for each church – and that doesn’t count insurance, maintenance, or major renovations, which can rise into the hundreds of thousands of dollars. He said the church may be better off concentrating more of its funds on salaries and activities that directly support its mission of spreading the word of God. “We are not managers of old buildings,” he said. But even congregations that don’t have to contend with church maintenance say they have reason to worry. The church in Prevost, Que., on Apr. 6, 2018. A spokesman for the Saint-Francois-Xavier church says he learned “through the back door” that the congregation is on the list of those slated to close – even though the church was sold to the town of Prevost. Robert Levesque, who is the head of the local ecclesiastical corporation that manages the parish, is rallying the community, hosting meetings with local stakeholders and adjoining parishes. He hopes citizens can convince church authorities to allow his church to keep operating and maybe even expand with a project to reach out to local youth. Even if the commission recommends closing in June, he won’t give up. “I’ll continue to fight for another round for sure, to recover, to assert my ideas,” he said. The Saint-Jerome diocese is not the only one being forced to make difficult decisions. The Quebec organization that tracks religious heritage says some 500 places of worship – representing 18 per cent of the total – have been sold, closed or re-purposed since 2003. Since 2011, about 40 have closed every year, according to the Conseil du patrimoine religieux du Quebec. Alain Faubert, an auxiliary bishop with the Archdiocese in Montreal, says about 60 churches have been closed or sold in the city in the last 20 to 30 years – including several that were sold to other Christian groups. He says authorities in Montreal always explore all other possible options before closing a church, such as sharing the space with community organizations. Montreal churches have hosted refugees, daycares, Alcoholics Anonymous meetings, food banks and drop-in centres for the homeless, Faubert says. But in more rural areas, he says there may be fewer options. 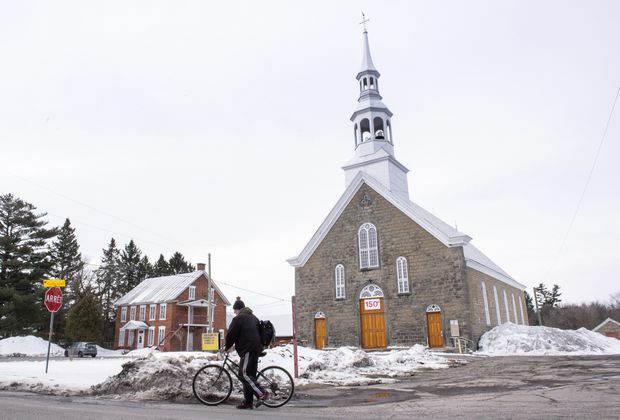 As closures loom, towns such as Sainte-Sophie are also wondering what will happen to the village cemetery, and whether their downtowns will be anchored by condo buildings or pharmacies. Filion also worries about elderly parishioners, who he believes will stop attending mass rather than travel to other towns. Tremblay, on the other hand, believes the faithful will adjust.